Speak the language of elegant fashion by donning this kurta from the house of Stop. It has a tie up neck and embroidered detailing at the front, both of which enhance its design. 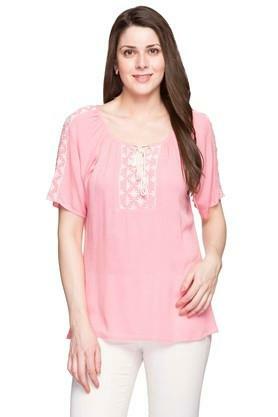 Besides, it scores quite high on the comfort quotient as it is crafted from good quality fabric. 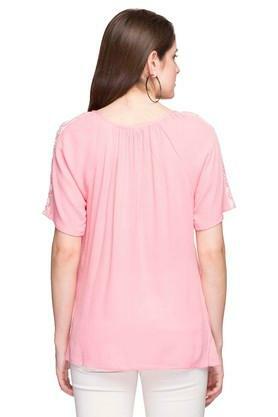 Complete your look by wearing this top along with a pair of jeans while going for any casual outing. It is comfortable to wear as it has been made of good quality fabric.